No word on price? Surprised to see they designed in house instead of just jumping on the S bandwagon and buying sensors... Interesting that it has Lightroom built into the camera and 512gb of storage. Must have quite the processor in there. Having an integrated lens is maybe a bummer, but thats probably not who this is marketed to. The grip looks uncomfortable unless this thing is really light weight. No word on price? Surprised to see they designed in house instead of just jumping on the S bandwagon and buying sensors... Interesting that it has Lightroom built into the camera and 512gb of storage. Must have quite the processor in there. Having an integrated lens is maybe a bummer, but that's probably not who this is marketed to. The grip looks uncomfortable unless this thing is really light weight. The in house sensor design really means that they worked with a sensor manufacturer to customize a sensor for them. Nikon does the same, they ask for changes that they believe makes the sensor work better. They likely have a price target, but, until they actually start building them and seeing the competition, they won't want to commit to a price. So I wonder how the Lightroom thing works, in terms of the license? I haven't seen the presentation yet, so this might have been covered there (please let me know if it was), but with Lightroom having moved to a subscription model, does that functionality on the camera stop working if I stop paying for Lightroom on my computer? The release says there are over the air updates, which is great, but I imagine it'll still be a somewhat crippled version of Lightroom given the nature of the interface. I'd heard the rumours that this was coming but knew little about it. Now it seems like it could be a really interesting addition to my camera collection, depending on price. It may not be for everyone, but I can see myself using these features. Be still my GAS. So I wonder how the Lightroom thing works, in terms of the license? Maybe there is no price yet because you will have to pay a monthly fee instead of payingonly once for the camera. I would think Zeiss could work out a deal with Adobe so you wouldn't have to pay a subscription. The fixed and prime lens is "interesting"; not sure how many people will go for it. Those who are into prime lenses will want to have interchangeable lenses, and those who don't care about that will want a zoom. So who is the target audience? "LR" integration, maybe a bit of an overstatement based the available short video clip on Zeiss website. Seems to have about the same adjustment options as any smartphone. The touchscreen control is interesting and gets rid of a lot of buttons. Just wonder how much unintentional activation is done by nose and cheek pressed against that screen when using EVF. Was looking for more tech specs like close focus distance, ISO range, flash compatibility etc. but absolutely nothing is provided. What is interesting is that this is the first Zeiss camera after the Icon, I think. They have been making high end microscope cameras for quite some time but that is in the microscopy division and not in the camera division. Very different beasts (peltier cooled CCD, binning options etc.). I've had several of their color cameras (with 506c on the way with the scope I just ordered). Incidentally, Zeiss has a CMOS model now, too, but only a monochrome version. I prefer Hamamatsu Orca cameras for fluorescent imaging (there will be an Orca Flash 4.0v3 on the second port of that new scope). But this camera's Zeiss sensor is new, the Axiocams all use Sony sensors, both CCD and CMOS. Or maybe not, since Zeiss says the sensor was developed in house...but maybe still made by Sony. 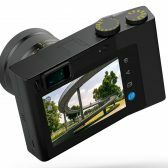 It looks to me that this camera is aimed at well heeled travelers/vacationers who want to capture better images than they can get with their smart phone, but still want the social media connectivity that the smart phone gives them. This may be slicing the market into too small of a segment to be successful. Time will tell. Maybe it's aimed at scientists with labs full of Zeiss (microscope) cameras and lenses, who have photography as a hobby. If I were AvTvM, I'd claim that would mean millions of buyers. well, it may sell a few hundred copies worldwide, similar to Sony RX1R/II models. there simply is no market - not even a niche to speak of - for fixed prime lens digital cameras costing north of 4k. photo enthusiast scientists ... well, zeiss might offer them a ZX1 as "free gift" when ordering hi-end gear for the lab. but no, that might be not in compliance, so Zeiss won't do it and even when, scientists would never accept, right? so, back to a few dozen units sold to collectors and their glass cupboards. other than that, zeiss ZX1 is way too big and too heavy for what it is: FF sensor with bolted-on, single focal length 35mm/2.0 lens. Can be had in a truly compact package as well. ZX1 is a Frankenstein combo of Android mobile gadget - with Adobe Lightroom slapped on top to make things worse - and outdated analog camera days UI concept with 2 mono-functional dials for Tv, ISO and aperture ring. a bit reminiscent of failed UI approach on Nikon Df. No buttons for AE-Lock or AF-L for back-button AF that any serious user would want!? Touchscreen plus fewer dials and buttons makes all sense in the world, but only if implemented "really right". On ZX1 is it "really limiting". Nice big hi-rez big display, but why not articulated and why 16:9 yuck!, when sensor is still 3:2 ... another of the video-induced compromises that impair stills shooting functionality and user experience. 512GB internal memory, fine. but why not add a UHS II or even better UHS III (Micro) SD slot in addition? For expandability, redundancy and fast transfer whenever wireless options are not available? Body is large enough to fit even dual SD slots, right? And Price will undoubtedly be high enough to cover a few extra bucks for a SD chip and slot, no? communication - why stop halfway? Only WIFI? If Android, then why not give it built-in LTE/4G chip to eliminate need for a separate smartphone when camera is along. And if body is that large, why not give it a 24-70/4.0 zoom lens at least, or even better: an interchangable lens mount! eg new L-mount, if it really is "open standard". That would nicely upset Leica and be great fun. Overall: typical half-assed "concept car" approach: all glitz, all show, nothing road-worthy. 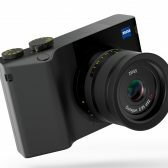 If Zeiss outsources 3/4" sensors on $5-15K cameras, I seriously doubt they would have their own sensor fab for a full size sensor. Even for Zeiss that would involve some serious cash. Maybe it's a custom job made at a Sony .... plant. I have only used the Axiocam HRc II and III (so the 512 equivalent), and don't do fluorescent work. For stacking, it is a bit of a walled garden with Zen talking to mot focus and camera. Micromanager may be an option, but not sure it is worth it to get flash capability. My next Zeiss "camera", or rather 24x32k frame grabber, will be on a EVO 10 arriving in about a year or so. Vorfreude ist die schönste Freude! it's sounds like an april fools joke for me. Maybe it's a custom job made at a Sony .... plant. that's my guess too - given Zeiss/Sony agreements on optical/lens side a highly likely "conjecture". I have only used the Axiocam HRc II and III (so the 512 equivalent), and don't do fluorescent work. I wouldn't call the HRc equivalent to the 512c. The HR series had a 1.3 MP sensor that lacked the gapless microlenses found on more modern sensors. It could produce higher resolution images by 'micro scanning' – moving the sensor sub-pixel distances in a 2x2 array for a 5 MP image or a 3x3 array for a 12 MP image, a functionality that gapless microlenses renders moot. The downsides of the subpixel shifting are that the system is more sensitive to vibration (my current scopes are just on Vistek/Newport tabletop platforms, I put the HRc systems on full air tables), and 4x or 9x longer acquisition times for image capture. But depending on your magnification, much of a 12 MP image is likely empty resolution. The higher the objective magnification, the lower the sensor resolution needed to fully capture the optical resolution. With 100x/1.4 NA, sVGA resolution is really all you need. 1 MP with typical microscopy sensor sizes (up to 1") is fine for most objectives, you only need up to 5 MP if you're going down to a 2.5x objective or lower (or using a 0.63x coupler with a 5x objective). I put a 1x or 1.25x objective on most scopes to capture an overview image of full sections, thus the 506c with 6 MP. 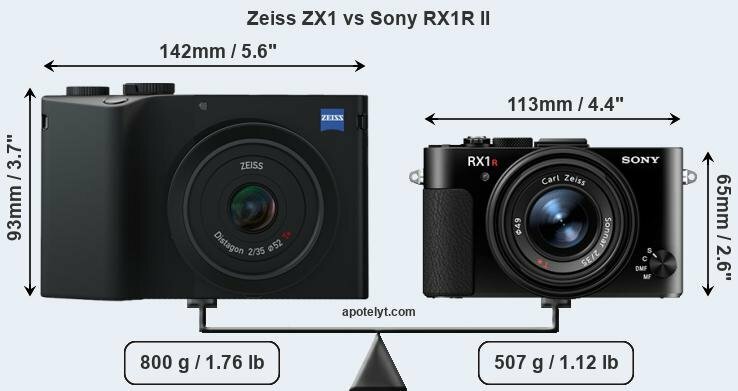 Of course, 'we all know' that more MP are better, so Zeiss will happily sell you a 12 MP camera and let you pay more money for extra empty resolution. If you want high-res images of larger areas, tiling of 1 MP images (binning a higher res sensor if needed) and a 10-20x objective is the way to go. Fortunately, I'm on the ground floor at home, so no traffic or other vibrations to affect the scopes. They sit on 20' 1.75" butcher block bolted to wall, so lots of inertia. Only a couple of time I've ever had issues with pixel shifts, but that rather from the live plant moving due to air movement than the scope being affected by vibration. My main imaging is on a Discovery V20, so relatively low mag and even with low NA, not getting into empty resolution region. On the Axioskop, I use low mag epi lenses mostly, occasionally with optovars. We do quite different imaging, even when using similar equipment. So approaches are different as well. I never had any complaints re image quality in any of my papers. 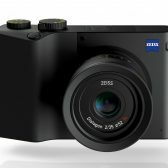 Zeiss thought the images were good enough for their microscopy blog, so apparently they stand up to scrutiny even when using "outdated" equipment. Enjoy your new scope! The lens look so titchy in that large body and oversized lens mount.